Welcome to my first quilt-along. 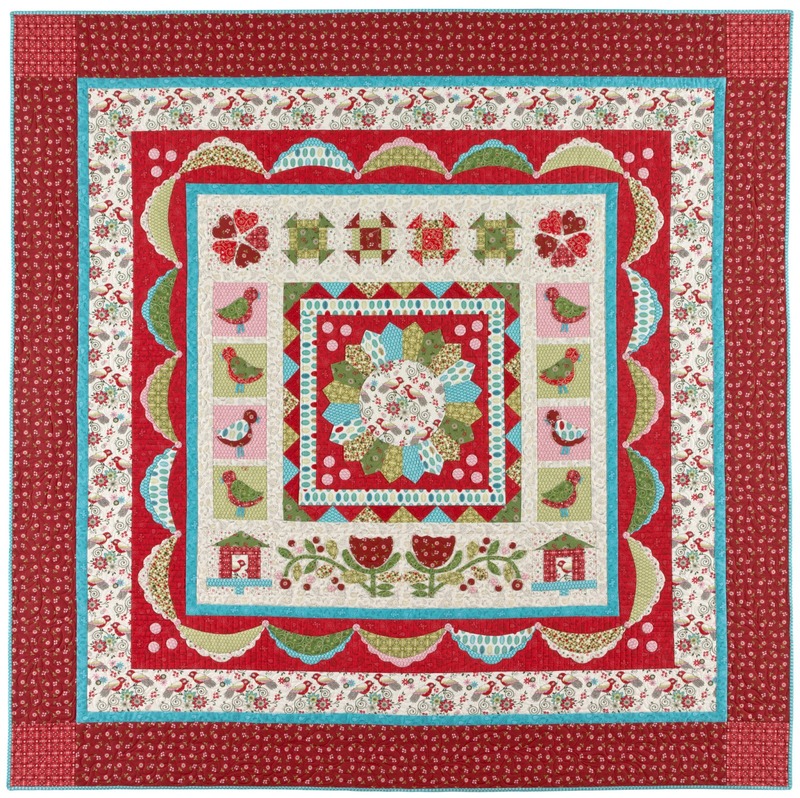 To kick off Tweet for Two, my first fabric collection with Marcus Fabrics, I've designed Tweet Friends, a 72" x 72" block-of-the-month sampler quilt. The pattern and fabric kit are available at quilt shops and on my website nancyrinkdesigns.com. The fabric is currently shipping, so if you'd like your local quilt shop to participate in the program and need some info for the shop owner. Download a flyer that shows the quilt and fabric swatches. On eight consecutive Tuesdays, beginning June 4, I will post a tutorial showing the methods and techniques I used to make the quilt. Mind you, I won't be supplying the pattern here on the blog, nor will cutting instructions be provided, although cutting techniques will be addressed. What will be supplied is the "how to."